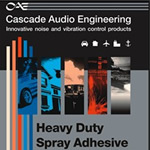 Acoustical sealants and adhesives are often overlooked components of a noise control system. 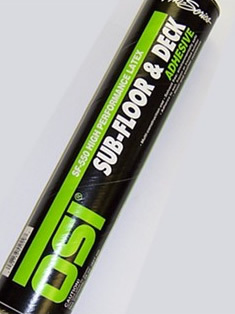 Sealants are used to fill small seams and gaps and adhesives are used to isolate surfaces. Acoustic Sealant is necessary to stopping leakage through seams and gaps in wall and flooring systems. 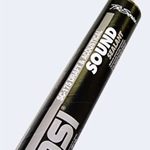 It is essential for achieving high STC value for sound control. 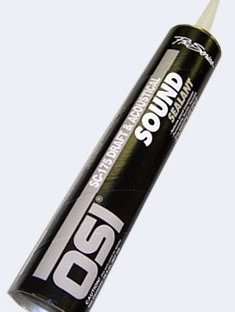 Super adhesive is used to properly isolate various materials to prevent the transmission of sound energy. 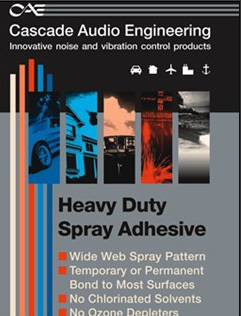 Web spray adhesive can be used on a variety of materials, especially lightweight wall panels, to ensure a solid lasting bond. 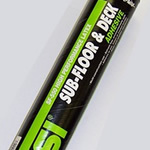 The adhesive sprays in a tight pattern allowing you to put all of the adhesive on the surface and none in the air.